With the first two months of the college football season behind us, the hype for Heisman Trophy hopefuls and other elite NFL prospects is nearing its peak. Among these candidates are the usual quarterbacks and running backs, but there is one player who is not like the rest. Defensive players don’t usually get the same national recognition as offensive stars, but there is someone who has been on college football analysts’ radars for a long time. 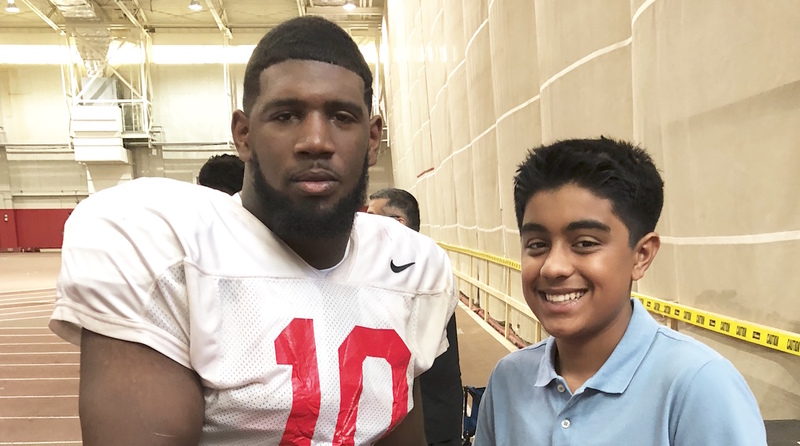 His name is Ed Oliver, a defensive tackle at the University of Houston. Blue-chip prospects often choose to play college football at places like Alabama, Clemson, and other powerhouse schools. Oliver stands out because he didn’t. He’d stand out anyway, since he’s 6’3” and 291 pounds, but three years ago he also became a rare five-star recruit to sign with a non-Power 5 conference school (those not in the SEC, Pac-12, Big 10, Big 12, or ACC) when he committed to play for the Cougars. Oliver’s mindset is clear when it comes to his expectations for this year. “[I’m] just going to take it one game at a time, and hopefully get a win every game,” he said after starting the year 4–1. (Houston is now 7–1.) But winning games is not all that is attached to his name. He is also in position to be a Heisman finalist and a top five pick in the 2019 draft. He’s not too focused on those two achievements, though. He played football in junior high, but he really got serious going into high school. “In my eighth-grade summer, going into my ninth-grade year, I was like, Yeah, this is for me,” recalls Oliver. In high school, he was fierce. A three-year varsity starter, he had 229 tackles, 16 sacks, two forced fumbles, a fumble recovery, and an interception. He was ranked the sixth-best player in the nation and third at his position. He earned a spot in the Under Armour All-American Game. Says Blum, “I’ve always said that he reminds me of John Randall, a Hall of Famer who played for the Vikings.” Like Randall, Oliver is an undersized defensive lineman who wreaks havoc on any offense that he plays against. Oliver has made it clear that after the season is over, he will declare for the NFL draft, forgoing his final season of eligibility. It can be an unpaved road for some players, but Oliver already knows some about it. Everyone who has watched Oliver knows he has what it takes, but equally importantly, he knows it too. 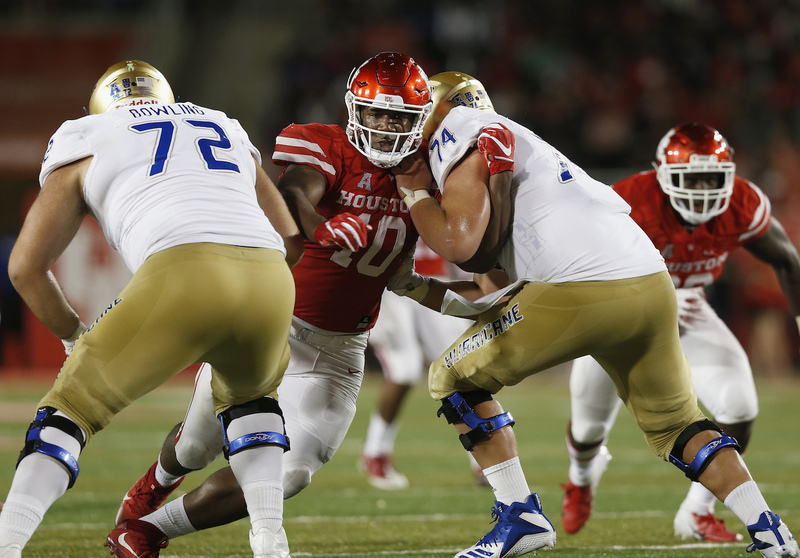 So if you see Houston’s number 10 sprinting at a quarterback, or pushing a running back to the turf, you’re getting a preview of what you will see on Sundays next season.